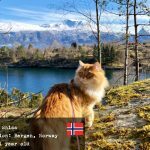 If you are looking for a Siberian cat breeder in the USA, I hope this post will be helpful. 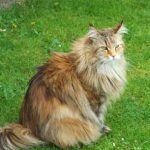 I went through a number of US Siberian cat breeders websites to see which ones I could list in this article and recommend to you. In my search I looked at such criteria as: how trusted the breeder is, what their stance is on good breeding and elimination of possible genetic issues, what their policies are etc. 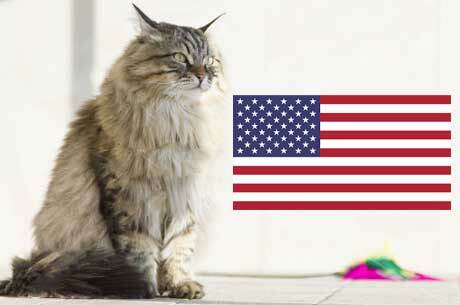 The following USA-located breeders of Siberian cats are almost all members of TICA Online. This means they are trustworthy, reputable breeders who have signed the TICA Code of Ethics and abide by best breeding standards and rules. I hope this list will help you find your breeder. 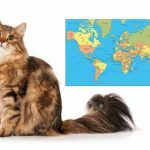 I have a separate interview with this Siberian cat breeder in California and Arizona here on this page. Please check it out to find out in depth about Pumaridge Cattery. 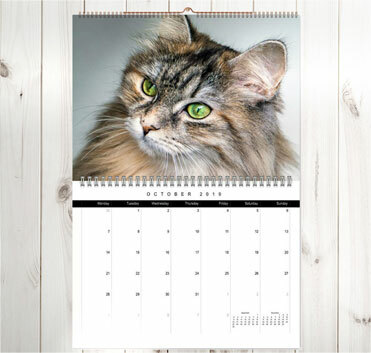 Pumaridge Russian Siberian Cats are a home breeder specialising in high quality and low allergy lines of Siberian cats. They are located in Kingman Arizona. They are TICA -registered and are certified as PKD negative cattery offering healthy, well-socialised Siberians. This cattery has a wait-list for their kittens and provide a contract if you purchase a kitten from them. They care very much about where their kittens go and reserve a right to choose the best home for every kitten and not let the kitten into a home which they feel might not be the best. All in all they seem like a great breeder. Contact them if you are in Arizona, or even out of state, as I think they do offer to ship their kittens. She then tried to find a Siberian cat in the US, which proved to be quite a task! 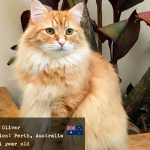 After having only 3 responses from Siberian cat breeders and having not a very good experience with one of them, she decided to become a Siberian cat breeder herself. As Sue states on her site, she doesn’t just breed the Siberians so she can sell them and forget about them. 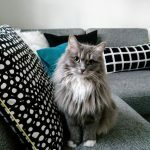 Sue is a passionate breeder with lots of admiration for the breed, and joining her circle means joining a group of people who are very much into Siberian cats, which is always a sign of a good breeder. In addition to that, she believes nothing can be more important in breeding Siberian cats than producing healthy and affectionate cats. Visit or contact this breeder if you are anywhere near Phoenix Arizona. They do seem like a very reputable breeder. 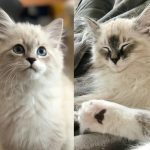 This cattery is conveniently located only a few hours away from LA, Vegas and San Diego, so if you are looking for Siberian kittens in California, check them out! Siberian Beauty is a Hobby Breeder cattery located in Los Angeles California. This breeder is striving to raise quality Siberian kittens with loving personalities. They breed excellent Siberians with lovely temperament, gorgeous looks and strong health. Since this is a home-based family-run cattery, the cats and kittens get plenty of socialisation on a daily basis and grow up well-socialised. Siberian Beauty only breed cats that are free from any genetic issues and other health problem including FIP and Fe1V. In 2015 we have been awarded an Outstanding Breeder Certificate by TICA. For Los Angeles dwellers out there, check out this cattery or give them a call, they seem like a great breeder. Kunapaws Siberian cattery is located in sunny Southern California. They have been breeding and showing cats (first Birman cats, then Siberians) for over 28 years! They cats are raised with the family and as part of the family, thus they are well-socialised. 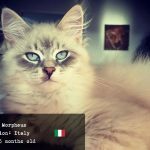 This breeder has a beautiful website with lots of images of their Siberians which you should check out! Nicholas Siberians are a TICA registered Siberian cat cattery that owns very best Siberian cats from Tomsk, Krasnoyarsk Siberia in Russia and Kiev, Ukraine. This cattery strives to maintain the traditional, original lineage in their cats. Their lines come from national and international champion cats and come from highest pedigree. If you want a very high quality Siberian kitten – this breeder could be a great choice! Winterblue Cattery is a small family-based cattery located in Stamford, CT. This breeder is passionate about breeding quality, healthy and affectionate Neva Masquerade and Siberian cats. They are proud members of TICA and adhere to all the standards of the breed. This breeder pays a lot of attention to maintaining great breeding practices, producing perfectly healthy kittens and raising them into confident and well-socialised adults. Finding wonderful homes for these kittens is also one of the largest priorities. They have their cats’ pedigree and lineage on their website, as well as images and testimonials. Definitely give them a try if you are in Connecticut. This cattery is also a member of TICA. Vera, the owner of the cattery, has been into breeding Siberians for a few years, her original two cats coming all the way from Budapest. Check out their website if you are in Colorado. These breeders have a really gorgeous website, and they are also a member of TICA. They are also a member of CFA, The Cat Fanciers’ Association. Danielle, the owner of the cattery, is also a mom of eight (!) children, three of who (and herself) are allergic to cats. 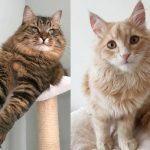 They all, however, can all tolerate Siberian cats beautifully and after owning a couple Siberians they decided to breed them to share their newly found ability to have pets in their house with other families. (Do keep in mind though, that although some people with allergies don’t react to Siberians, some others till can!). 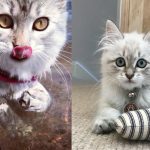 Danielle has some beautiful reviews on her site, as well as pictures of her Siberians, their pedigree and a sample of the contract you would get if you purchased a kitten from them. This is a great breeder located in Georgia, USA, but unfortunately it looks like this is their last season of breeding, with last kittens looking for the new homes at the beginning of 2019. Give them a call to see if they still have kittens that haven’t been spoken for yet. Winterbrook is a cattery located in Olathe, Kansas just outside of Kansas City, Missouri. They specialise in Neva Masquerade Siberians. 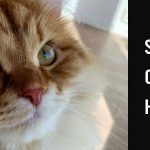 This is a small, home-based cattery striving to produce healthy Neva Masquerade Siberians that are healthy and hypoallergenic for people that suffer from allergies. The owner of the cattery itself is very allergic to cats and she even has had asthma for years when she had her cats (non-Siberian breed). After her older cats passed away, she could’t live “cat-less” and started researching hypoallergenic breeds, which eventually lead her to Siberians. Long story short, the Siberian cats became the magical breed for her, that never caused her any allergy symptoms. She has never had any asthma attacks with her Siberians either. For the new potential owners, however, she still recommends to do an allergy testing before getting a kitten. If you are looking for a Siberian kitten in Missouri, give this breeder a try. Tiberius Cats is registered with ACFA, CFA & TICA. They look like a conscientious breeder that I would recommend you to check out if you are in Maryland, USA. Siberian Miracle Cattery is located in Western Massachusetts, United States. They produce healthy Siberian kittens that come with the TICA registration and health/allergy guarantee by contract. They have extensive kitten purchase policies outlined on their website, and seem to have really beautiful (mostly white!) cats and kittens. 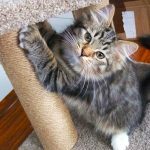 This cattery is located in Seattle and has been breeding beautiful Siberian cats since 2014. 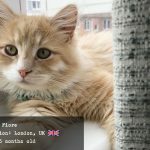 I have a separate interview with the owner of this cattery here on my site, you should check it out. 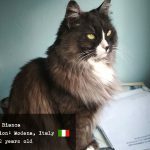 I will update this list as time goes on, please excuse me for only having detailed info on only a few states – the rest I just listed below with cattery names and web addresses that you can check on your own. Good luck with your search!